If you like graphic novels and comics, please check out Silence in the Library’s newest Kickstarter project, Icarus: A Graphic Novel. The book is by Gregory A. Wilson, with art by MARVEL artist Matt Slay, and it’s pretty awesome. You can see by the cover, it’s got some eye-popping art. 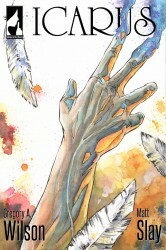 Icarus follows the adventures of Icarus and Jellinek, two beings who are, on the surface, as different from one another as they can possibly be. Icarus is a tall, fair-skinned young man with wings, incredible powers, and no memory of anything other than his name. Jellinek is a short, flamepetal prospector with tough red skin, a general dislike of everyone around him, and a major attitude. Together, they must defeat a race of tyrants that has enslaved the world of Vol. Through the course of the story they find out that they are more alike than they can possibly imagine. I’m one of the stretch goal authors for the Kickstarter, and if we reach my funding goal, LucasArts artist Joe Corroney will illustrate by story (along with colorist Brian Miller)! I really hope we make it to my goal, because I’ve always wanted to be part of a graphic novel! Some of the other stretch goals include illustrated short stories written by authors like Forgotten Realms creator Ed Greenwood, Michael A. Stackpole, Jean Rabe, Maxwell Alexander Drake, and Aaron Rosenberg. Illustration for these stories will be done by artists like Cyril Van der Haegen and Jason Engle. There’s even an absolutely free 3d Icarus RPG at the highest stretch goals. Plus, there are cool rewards at a number of affordable pledge levels. Book Signings, Kickstarters, New Conventions and the Cover for Deadly Curiosities! Lots of good stuff coming up in 2014! 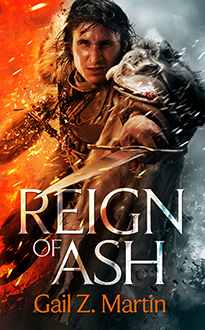 April 1, Reign of Ash comes out from Orbit Books. 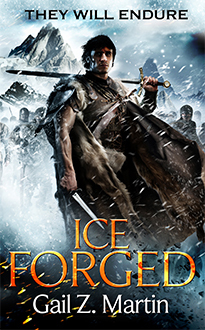 It’s the immediate sequel to Ice Forged, so it picks up right where the action left off. 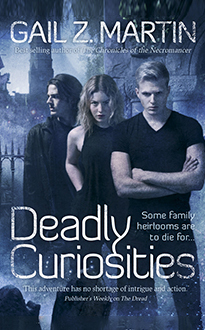 Then June 25, my new urban fantasy series launches with Deadly Curiosities, a new novel from Solaris Books. 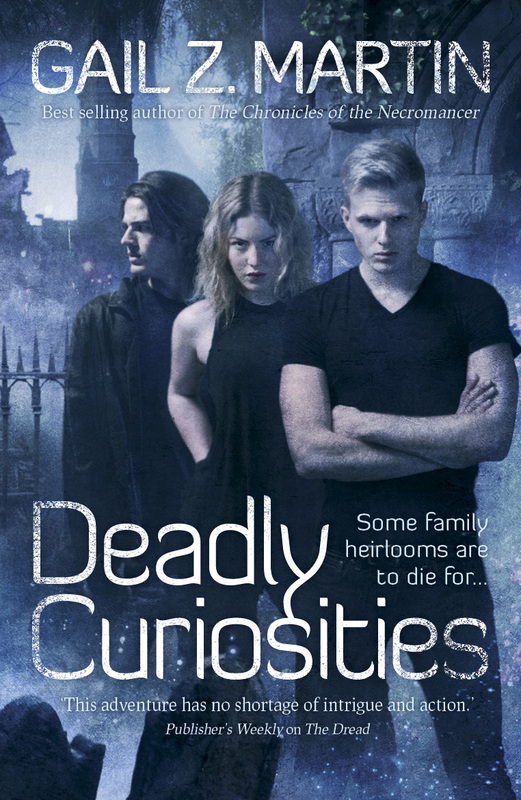 Deadly Curiosities (the novel) takes place in modern-day Charleston, SC and introduces you to Cassidy Kincaide, owner of Trifles & Folly, an antique and curio shop that exists to get magically dangerous items out of circulation. 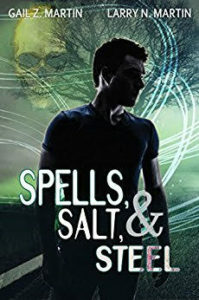 If you’ve read any of my Deadly Curiosities Adventures short stories, you’ll know that Cassidy is the latest in a long line of Trifles & Folly owners with a dangerous supernatural history. 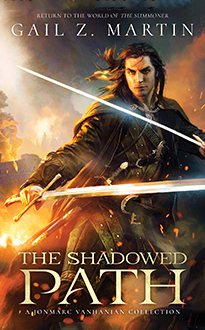 I love the new cover, by artist Chris McGrath, who also does the Dresden Files covers. Speaking of short stories, I’ll be continuing to bring out a new short story on ebook every month. Look for more in the Jonmarc Vahanian Adventures as Jonmarc heads toward Principality and a chance to join up with the mercenaries. In the Deadly Curiosities Adventures, expect more about Sorren, Dante, Coltt and Cassidy across the centuries as they battle magically malicious heirlooms. I’m excited to be in seven new anthologies in 2014, with some storytelling that is going in totally different directions! 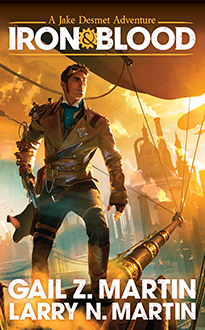 I’m in the British Fantasy Society’s “Unexpected Journeys,” and “Athena’s Daughters,” as well as “Clockwork Universe: Steampunk vs. Aliens” for Zombies Need Brains Press, and a superhero story for “With Great Power.” Plus I’ve just promised a new steampunk story and an urban fantasy story to Dark Oak Press, and a monster story to Big Bad2! And stay tuned, because I’ve got some surprises coming up that I can’t talk about just yet! • Book signings in stores July/Aug. 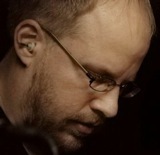 Please join me on Twitter @GailZMartin, and on Facebook.com/WinterKingdoms. My opinion on the matter has only slightly changed. What attracted me first to The Hobbit was the 1982 cover by Darrell K. Sweet. Much like Derek Riggs's cover art drew me to Iron Maiden, Darrell Sweet's cover art drew me firmly into the world of fantasy literature via the Hobbit and then The Lord of the Rings. I bought and read the Silmarillion that same year, but that another story for another time. Covers draw in the reader. It's not about making the author happy, so much as it is about catching the eyes of internet denizen's and book store browsers. 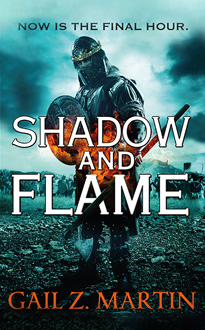 Making people pick up the book and flip through it… or click download a free sample to your e-reader of choice. When an artist does both, it's a kind of magic. Now on to the confession… eventually. I love the Void City books. 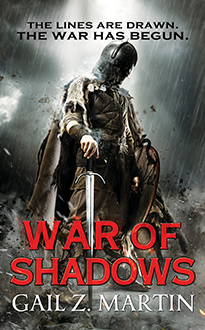 I want to write more of them, but long before the vampire-novel-which-shall-remain-nameless angered me to the point that I threw it across the room and started penning Staked, I wanted to write a fantasy novel. I simply didn't know how to go about it. 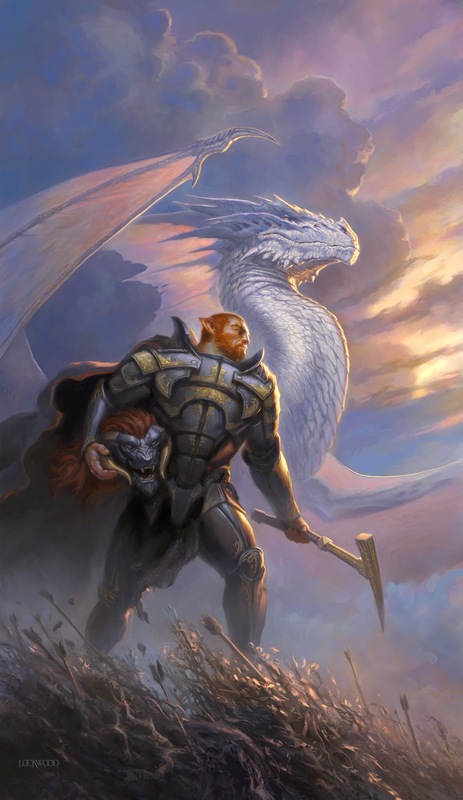 It took writing well over a million words before I was ready to write the Void City novels and it took that million plus the roughly half a million word that comprise the Void City books to date before I could write a fantasy novel. 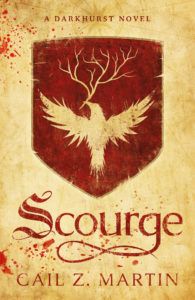 Along the way, I have fantacized about having an awesome cover.